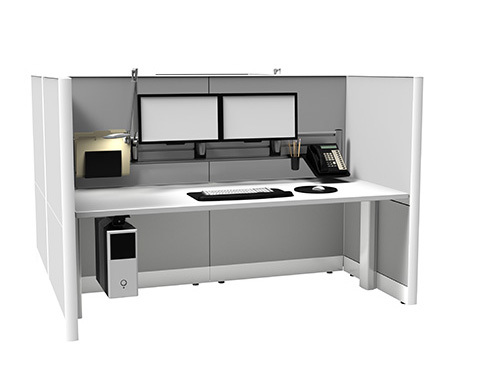 The Adapt Height Adjustable ILS Panel System by SpaceCo is first in class. 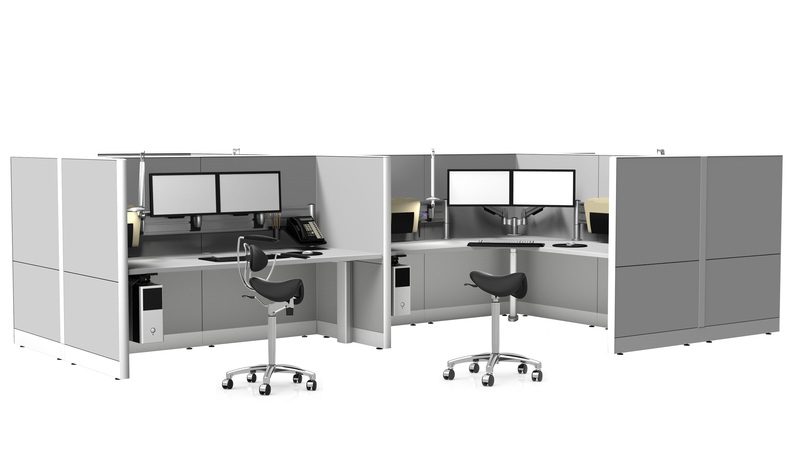 Designed for an open office plan, the Panel System provides delineation of space, privacy between users, security of data, and electrical distribution tidiness. 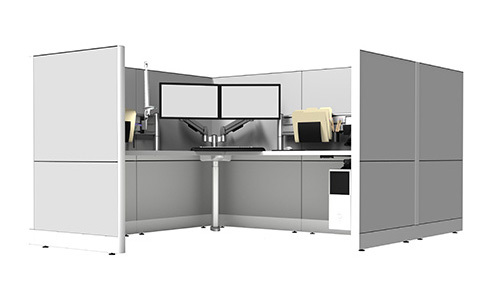 The Integrated Levitation System (ILS) Sit-Stand enabled work surfaces can be lowered and raised with the touch of a button to suit each individual user’s preference. 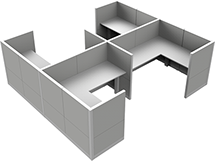 This system is fully customizable to adapt to the specific needs of every office space. 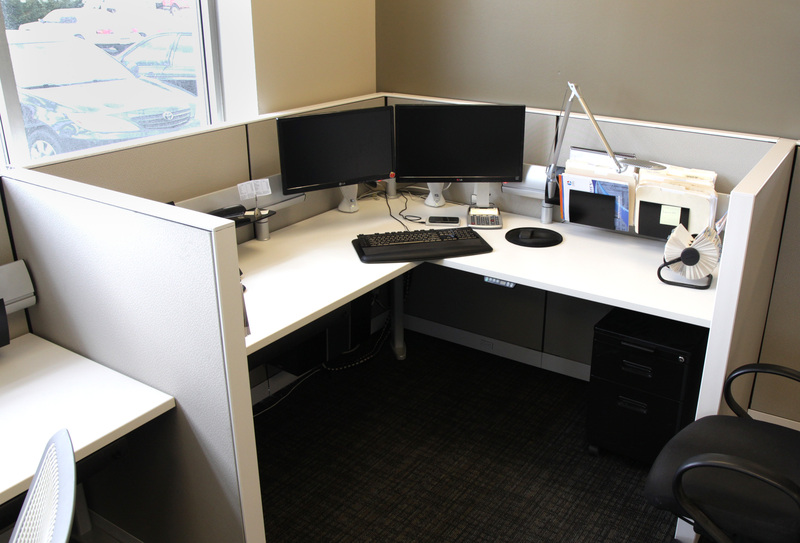 The system maintains a fixed relationship between employee and work environment. To learn about our Freestanding ILS Sit-Stand, click here. 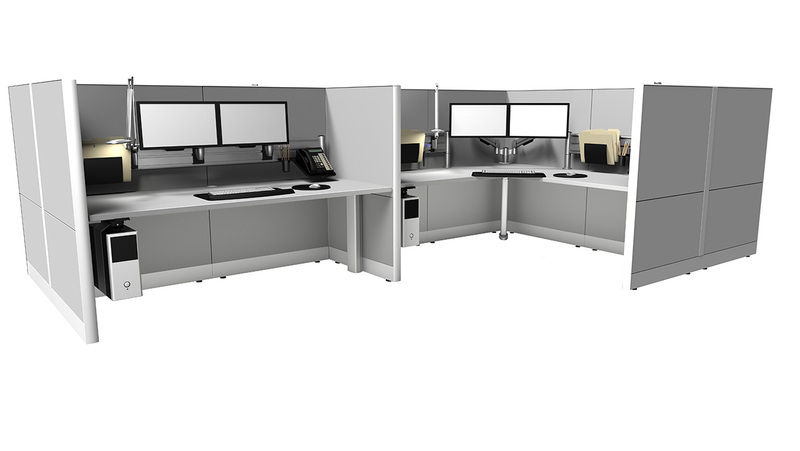 To learn about our system for converting existing workstations into Sit-Stand configurations, click here. 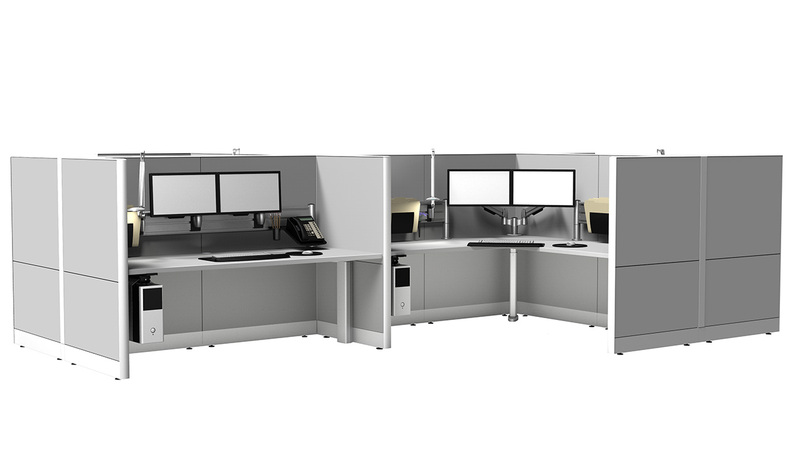 Technology - Easily suspend and access CPU’s; handles multiple monitors and all other computer equipment needs. 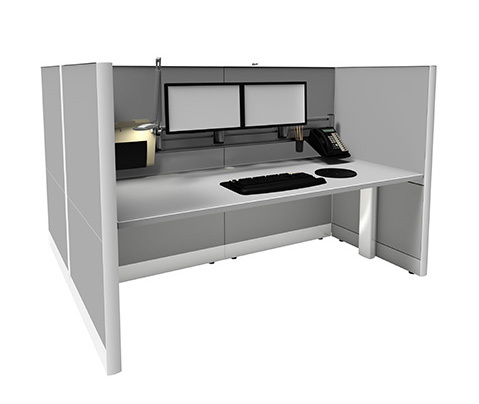 Combine individual panels of various sizes to configure the Adapt custom panel system. Include an electrical base in the panels or not. Choose 1 or 2 notch outs for electrical bases. Determine panel connectors, electrical power, and finally, work surface size and finish.